Health care proxy options with respect to "end of life"
Little do you know the importance of what can transpire as your life goes on to an unexpected place and your family are left to make difficult life decisions. The following are various health care proxy options with respect to "end of life" proxy authorization/instructions when you are incapable of making such decisions. The health care proxy can include any type of instructions you wish with respect to limitations and/or choices for end of life decision making by a proxy on your behalf. The health care proxy takes effect in the event you become unable to make your own health care decisions. 1. If there is no chance of recovery - you should be allowed to die. The above instruction can be revised to not include any time limit, so that if 3 doctors agree at any time that you will remain in a vegetative state and that there is no chance of your living without being attached to machinery (and presuming you are unable to communicate your wishes) then your proxy may withdraw life support and allow you to die. NOTE: I realize that unless I specifically limit my agent's authority below, he or she will have full authority to make decisions about my life, such as artificial nutrition and hydration. Accordingly, I prescribe the following: All means including extraordinary measures are to be taken to sustain my life. The above Health Care Proxy choices are only meant as an example, and after discussion with you, we will craft a solution that is right for you and your family. We do recommend that you select a primary health care proxy and one alternate, in the event your primary choice is not available. 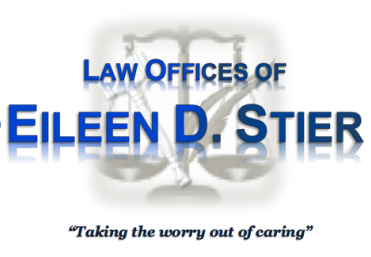 I am a Elder Care lawyer handling all aspects of Wills, Estate, Trust and Medicaid planning. I find solutions for you when life happens. Let me help you take the worry out of caring, now and in the future. You can reach me at 516-829-9614. I am a New York and New Jersey attorney admitted to practice in all State and NY/NJ Federal Courts. I am a CLE lecturer in estate administration and concentrate in: * Elder Law * Special Needs * Trusts * Estates * Wills * Real Estate * Guardianships * Advance Directives * My office is in Valley Stream with a satellite in Great Neck. I am available to meet clients at either location, but also make home and hospital visits if needed. My goal is to remove worries from your life so you can focus on caring about yourself and those you care about. Check out the News & Events going on in this great world of our's.